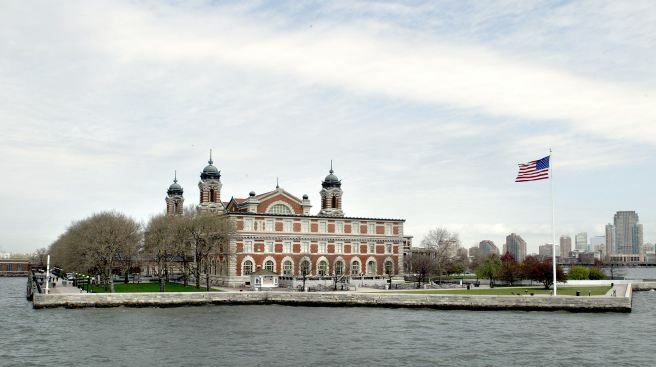 One of Ellis Island's century-old buildings will get federal funds for repairs. The Ellis Island Immigration Museum will get $26 million in federal funds to repair its seawall and save one of its historic though long-abandoned buildings, the U.S. Secretary of the Interior Ken Salazar announced today. The funds are part of a $750 Million investment package in shovel-ready projects to restore and protect national parks in the United States. In New York Harbor, the funds will go to stabilize the Ellis Island Baggage and Dormitory Building built in 1908. The building needs a new roof, extensive masonry repair and other work including the removal of hazardous waste, a National Park Service spokesman, told NewYorkology.com. The Dormitory Building is one of about 30 buildings on Ellis Island that remain in some state of disrepair. Most of the abandoned buildings are part of the hospital on the south side, where some old equipment still remains in the operating room, laundry, kitchen and other areas. Those spaces are closed to the public, but have opened up on occasion for hard-hat tours. Work on the Baggage and Dormitory Building should begin in less than a year, Boch told NewYorkology, and will probably open for limited tours.